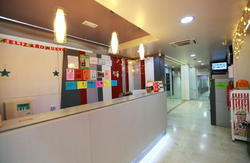 At helloBCN hostel we believe that choosing a hostel is not just about choosing a place to sleep. We want to make your experience in Barcelona unforgettable. We've created an environment to help you meet other travellers so you'll never be on your own and our friendly staff are always available to give you tips on the best things to see and do in Barcelona. We've included in the price everything you need for a comfortable stay - large security lockers, breakfast, sheets, internet and use of the guest kitchen, so you don't have to worry about 'hidden extras' when you arrive! If you don't want to bring a towel, no worries; we have some for rent. Theres many local supermarkets and specialty food stores (eg. fruit and vegetables, bakery) nearby to help you keep within your budget. You're sure to make loads of new friends and travel companions in our bar - open from 7pm! Join us for one of our group outings to the coastal village of Sitges, or on a guided bike tour of Barcelona (seasonal). Or challenge other guests to a game of table tennis (ping pong) or Twister right here in the hostel. We also give tour advice and make reservations for our guests. Find out from our friendly staff the best way to get to know Barcelona - on bike, bus or just walking through the many narrow streets! And if you're not tired after partying all night and sightseeing all day, we have a gym with modern equipment to help you stay in shape. 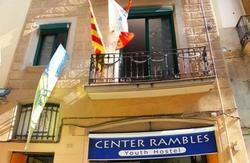 Were located only 10 minutes walk from Las Ramblas and only two minutes walk to the metro/ bus stop (Paral.lel), offering easy access to all tourist attractions including La Sagrada Familia, Park Guell, Casa Batll, La Pedrera, Montjuic (from which you can enjoy the panoramic views of Barcelona or just chill out in the magical bar at the Migdia lookout), and of course the beach! Were also a stone's throw from some of the coolest clubs in Barcelona! Please read out T&Cs below. 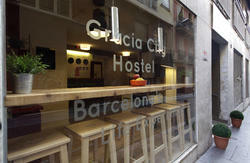 The hostel address is Lafont Street, number 8 10, 08004 Barcelona. We're ideally located behind the popular Apolo Theatre/Sala Apolo. Below you will find simple instructions on how to find us. All you need to know is how youre arriving in Barcelona - by sea, air, road or rail? It is more economical to buy a 'T10' (10 trip pass) which is valid for 10 trips on all of Barcelonas public transport system. It can be used by more than one person. This is a two-minute walk. Exit the metro following the signs for Nou de la Rambla and look for the Apolo Theatre. Walk behind the Apolo Theatre along the street Nou de la Rambla for one block until you reach the street Vila I Vila. Turn left and immediately right again into Lafont street. The hostel is at number 8 10. From Barcelona airport (El Prat): Please note that Barcelona Airport now has 2 terminals. When exiting the arrivals area walk straight ahead and descend the ramp to your left. All the buses leave from here.You can either take the Aerobus (5.30) which goes direct to Plaza Espanya or alternatively you can take the 46 Bus (1.45) which also goes to Plaza Espanya but has various stops along the way. This is also where the T1-T2 shuttle leaves from. Get off the bus at Plaza Espanya. Take the underground metro line 3 (green) in the direction Trinitat Nova and get off in Paral.lel. Take the airport train to Sants station. Trains run every 30 minutes from 5.42am to 11.38pm (Journey time - 30 minutes). You can purchase a T10 (10 trip pass) for 8.25 at the train station which can be used for the train, metro and buses. Or you can buy a one-way ticket (2.80). At Sants, change to metro line 3 (green) in the direction Trinitat Nova and get off in Paral.lel. You can take the Aerobus from just outside the arrivals terminal (5.30) which goes direct to Plaza Espanya or alternatively you can take the 46 Bus (1.45) which also goes to Plaza Espanya but has various stops along the way. Get off the bus at Plaza Espanya. Take the underground metro line 3 (green) in the direction Trinitat Nova and get off in Paral.lel. Take metro line 1 (red), to Universidad. Change to line 2 (purple) going in the direction of Paral.lel. Take line 3 (green) going in the direction of Trinitat Nova and get off in Paral.lel. Take bus number 64, 57, 157 or 36 in Pla de Palau, direction Pedralbes. Get off at the corner of Nou de la Rambla and Paral.lel - look out for the Apolo Theatre.Walk behind the Apolo Theatre along Nou de la Rambla for one block until you reach the street Vila I Vila.Turn left and immediately right again into Lafont Street. The hostel is at number 8 10. Take bus number 20 at the World Trade Centre in the Moll of Barcelona, direction Pla del congres. Its just two stops to the corner of Nou de la Rambla and Paral.lel (look out for the Apolo Theatre). 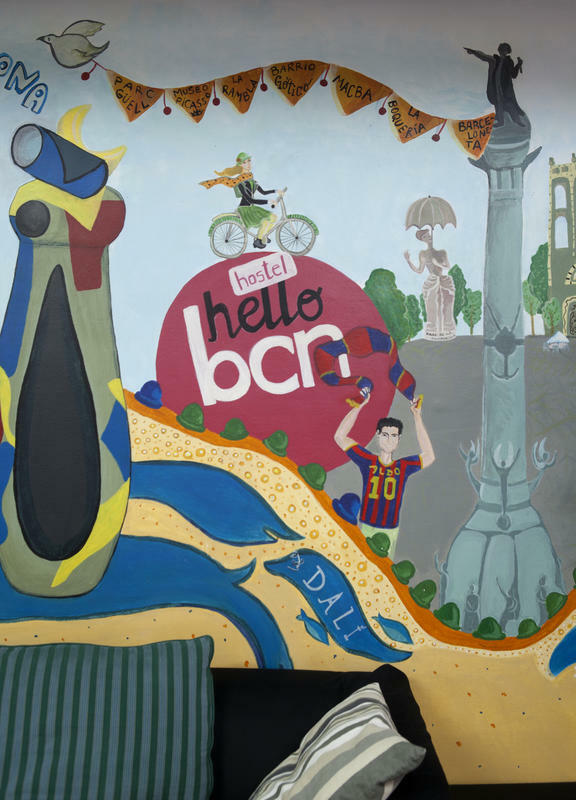 Walk behind the Apolo Theatre along Nou de la Rambla for one block until you reach the street Vila I Vila.Turn left and immediately right again into Lafont street.The hostel is at number 8 10.